A relatively quiet month on the blog due to holidays, work and the Bristol & District Chess League kicking off. Todays instalment is a late comer to the club profiles feature that we have been running over the summer, Brewood Chess Circle. My thanks to their chairman David Blower for taking part. Brewood Chess Circle is a chess club based within the village of Brewood in Staffordshire. The aim of the chess club is simple to let members meet up socially for the enjoyment of the game of chess. The chess club is a small chess club with around 20 members. We hope to gain some new members this coming season and if this website article helps us to do this than all the better. On that note just in case anyone reading this article lives in or around Brewood and is interested in possibly joining the club let me start the article by introducing the relevant details you need to know. The club meets up on Tuesdays from 7:30pm. Best of all there isn’t actually a finishing time, meaning that we can go home as early or as late into the evening as we want. New members are welcome, regardless of age and ability and that is something I will probably repeat a lot in the article. The club plays in two different leagues. Soon after the club was formed we joined the Wolverhampton Chess League in 1981, where we have been ever present since. We currently have one team in division two of the league and have never been in the top division, (Division 1) in our entire history of the club. We also enter two cup competitions run by the league. The other league we play in is the Cannock Chess League which we initially joined as a one off in the 1999-2000 season and then as ever presents from the 2003-2004 season onwards. We play in division two of the league, and also enter a cup competition run by the league. The team also compete in the Shropshire Rapid Play League where we are currently in division two of that league, having got relegated from division one of the league last season. The internal club competitions are also something to talk about. The club championship began when the club was first started in 1980, and has been ECF graded since 2012. We also have an ECF graded rapid play club championship which started in 2015 which makes use of digital chess clocks and Fisher incremental time controls. The club championship trophy is a chess board with the previous winners names engraved on the outside of the board. It is a tradition at the club that the defending club champion plays their next season’s club championship matches on that board. Playing your matches on the trophy you have won to try and defend it has to be unique!! What kind of person plays for the club? Who can join our club? The simple answer is anyone who likes chess. The amount of teams we run means that we believe we cater for players of most standards of chess. We do not have any titled players at the moment but they would also be more than welcome to join. The ability level of players at our club ranges from children who have just started learning the game to those graded in the 150s. Any new members who want to join the club and immediately want to start playing competitive chess against other local chess clubs in local leagues can have their level of play assessed and be placed into one of our clubs teams that is best suited to their ability level. Clearly we would love it if someone graded in the 200s wanted to join. However whilst the club does run competitive teams the main aim as I said at the start of the article is to meet socially for the enjoyment of chess. That was the aim when the club was formed and it is still true now. Any member who wishes to play socially but not competitively is welcome as well and there is no pressure applied to anyone to play in a team if they do not want to. This leads me onto the best thing about the club. Even if there is not a match you can be sure that there will be about half a dozen members who will turn up to the club each week. Any potential new member turning up will be sure to get a game. Simply turning up and enjoying yourself is what counts. The best thing about the club is the social atmosphere. The club accepts and encourages juniors to turn up to the club and also adults that are new to chess. Recently a couple of members had turned up who started playing as children but had took a break from the game, and had now resumed playing as an adult. The youngest member of the club is ten years old and has being going for three years. There are six junior members at the club which is a relatively high number for a chess club which is not a specialist junior only chess club. We are hopeful that one of our juniors will qualify for the England under 11 national team. Obviously the level of competition to get into any England team is high, so whilst it will be difficult everyone at the club is rooting for him. Whilst the majority of the members are now adults quite a few of us started playing when we were children ourselves. I started playing when I was seven years old so I know what it is like to play chess as a child and that is something I always try and keep in mind when talking to children now at the club. Experienced players are happy to give advice to help improve the level of play of children. Mini coaching sessions can often take place in the evening focusing on aspects of the game, that take place during the opening, the middle game and the endgame. We often have children reluctant to leave the club at the end of the evening which is a good sign that they have enjoyed themselves. Children also have the opportunity to play in teams. One of the junior members of the club helped win us the Dudley League Division 3 in the 2012-2013 season, the clubs most recent trophy win to date. The Cannock League is not a promotion and relegation league but a team graded restricted league allowing us the opportunity to play new members of the club including juniors in that team. Meanwhile the oldest member of the club is in his mid-70s (but don’t tell anyone I have told you his age.) We also have one member of the club who has being going to it since 1980. Chess is a game you can play for years and still learn something new and that is one of the best things about the game. Improvement can take place at whatever level you are already at and it is not just juniors who wish to improve. I myself often ask one of the highest graded players at the club “can you go over this game with me.” You can guarantee that someone will always be willing to go over a game that you have just played, either to help you understand a defeat or simply if you want to show off a win! One thing that should be stated is that there is no minimum ability level required to join the chess club. Players or parents of children should not think that they will be deemed too weak to be a member of a chess club because this is simply not true. Besides which experience shows that the best thing players can do to improve their chess is become a member of a chess club. Can you tell us about the history of the club? The story of how the club was formed is that in 1978 two people at the Roman Catholic Church in Brewood during an idol time discovered during a conversation that they both had a mutual interest in chess. Games soon followed initially in their houses and soon the happy band of players was up to eleven. By this time there were too many people to still meet up in people’s houses and so that issues such as the club championship and trophies being engraved could probably be dealt with the suggestion was made that a club should be formed. On 29th April 1980 the club had its first AGM where the club was officially formed and games of lightning chess followed. The word Circle in the name of the club comes from the fact that those who founded the club wanted the name of the club to sound as inclusive as possible. The club does play competitive chess but the idea of it being a place where anyone who enjoys chess can turn up, remains as true now as it was in 1980 when the club was formed. The club has moved around in its 37 year history but has remained within the village of Brewood. We are very proud of that. I am not personally aware of any famous chess club player having ever played for the club but maybe that will happen in the future. Whilst our honours board may not have as many trophies as some clubs we have won 15 trophies during the 37 year history of the club. We are hopeful of adding more honours in future years. The Wolverhampton Chess League Division Two 2017-2018 title would be good to enable us to go into division one of the Wolverhampton Chess League for the first time in our history. Who are your fiercest rivals and why? The main rivals we have are Bushbury, simply because there are a few members who play for both chess clubs. As it turns out we have been drawn away to them in the first round of one of the cup competitions being run by the Wolverhampton Chess League and therefore it looks likely there will be at least one club member playing against us in our first competitive match of the season. Is there anything else you would like to add about your club? I also have to mention our internet activity. Our website address is: http://www.brewoodchess.webs.com/ We are also on Facebook, twitter and YouTube. The website has details of all the latest news from the club including match reports from our matches, a page with contact details for new members to join the club, and a sense of history with a page explaining the full details of the history of the club. The aim is to eventually have a complete record of every finishing position the club has ever had in any competition. There are also future plans to cater the website for juniors. The website already has some specific advice for parents on the “Joining the club” webpage of the website. Meanwhile in the future the puzzles page will be changed to a “Puzzles page for juniors,” with monthly puzzles designed with children in mind. The website also features some of our favourite games on the games page. Although keeping it up-to-date is not as easy as I would like, it has attracted some new members to the club on the back of us having a good website. There is one final thing I would like to repeat (rather than add.) Any age. Any ability. The club caters for anyone who likes chess, including experienced league players, adults new or returning to chess and juniors. You are rarely too young and never too old to play chess. There is no minimum ability level required to join a chess club. Enjoyment of the game alone is enough. Experienced players are happy to give advice and help anyone improve at whatever skill level that a player is currently at. So why not give it a try? You will be sure to enjoy yourself. Thank you David! So there we see a cracking example of a smaller rural club making real strides both digitally and in their local chess scene. My particular favourite comment is the idea of having to play on the board with your name engraved on it. A bit like a belt at boxing. Great idea that is sure to crank the tension when the clock is ticking! This will be the last of the club profiles moving into Autumn and Winter. As I’ve previously said Im thinking about consolidating all of the common features of successful clubs into another article as I feel this will be really interesting. ChessJournal is the companion app for club and tournament players. Store your games in the cloud for free and analyse them on the go on your phone or tablet. Set and track personal improvement goals, linking key games to them across the season. Leave your laptop at home the next time you visit that big tournament! Its been quiet on the blog over August as the holiday season has kept everyone busy (plus I recently became the Publicity and Recruitment Officer for the Bristol & District Chess League which has also soaked up some of my blogging efforts). Castlehill Chess Club is one of two clubs in Dundee and we meet every Thursday evening throughout the year at the Chaplaincy Centre of Dundee University. Currently there are about 35 adult members and 16 junior (aged 7 – 16) members. We enter five teams in the local Tayside and Fife League (winners of Division One 8 times, Division Two 8 times, Division Three 6 times), a team in the Scottish Spens Cup, (which we have won three times) and, jointly with Dundee CC, three teams in the Scottish National League. All of us are amateurs and range in strength from beginner to experienced club-level players. Our current strongest player is still a junior at 16 and is graded over 2000 in both the Scottish system and FIDE. As for ages, the youngest is seven, the oldest is well into retirement. We don’t currently have any titled members but have had a FM and WFM as members in the recent past. The club was formed in the early 70s, was based at the Kirkton Community Centre, Dundee and was called the ‘Self-programming Chess and Draughts Club’. This was later shortened(!) to the ‘Kirkton Community Centre Chess Club’. There five originating members. Soon after formation the members were fired with enthusiasm to form a team and enter the TAFCA League. The earliest written record is the minutes of the AGM of 1978 which had an unfortunate outcome. The election of team captains led to several members leaving. They formed another club, Dundee West End. 1979 was the first in a period of several years during which a number of changes of premises were made. In 1980-81 season the move was to the ‘1314 Club’ in Dundee City Centre, which were the premises of the SNP, and it was decided to change our club name to reflect the association. In February 1981 we lost Z.K. (Konrad) Wierzbicki, who died at the board of a league match at Dundee University. A memorial tournament was instituted in his memory which runs to this day. At the 1981 AGM Keith Rose was elected as Secretary and he has held this post until the current date, with the exception of three years in the late 1990s. In the Summer of ’82 the 1314 Club closed and we became somewhat nomadic. Dundee Chess Club was kind enough to allow us to use their premises for club nights whilst League matches were played in the living room of one of our members. After a short period we moved to the Labour Club in Roseangle. In March 1984 we moved yet again, back to the 1314 Club which was renamed ‘Castlehill Club’ (after the area of Dundee where a castle was once located), where we were to remain for several years. Then began a growth which continued for a number of years. A junior club was started, a second club night added and a fourth team was entered in the TAFCA League. We moved again in about 1989 to the Taychreggan Hotel and here began our most successful period in terms of membership, adult numbers peaking at 64 and juniors at about 25. We have been at our current venue for 2 years. Although lacking a bar (!) it has room to accommodate our busiest nights – during the October-May periods most nights see attendances over 25 and frequently over 30. During the summer attendances are still in the high teens most weeks. This venue is also suitable for youngsters, which some of our previous homes were not. Back in the 1970s there were five clubs in Dundee but now only we and Dundee Chess Club remain. Despite sometimes fierce rivalry the two clubs co-operate very well, each helping the other at times of difficulty, but both enjoy getting one over the other. Dundee CC has several players who are stronger than Castlehill’s but we have a larger membership and more populated club nights. The best thing about the club is its camaraderie and friendliness. One of our number styled us ‘The Friendliest Club in Dundee’ – this goes back to a time when there still several other clubs and there was at times some unpleasant interactions. Although this has thankfully disappeared we still use this epithet. We also make a point of welcoming and inducting new people. As a young man I once entered another club to play one of their members, found myself in a crowd of unknown faces and not one spoke to me. That will never happen at Castlehill. Having reintroduced youngsters and held on to them we would like to expand our junior membership. We know there are quite a number of children taking part in school chess clubs so the aim must be to tap into that. In addition, with having a venue which is part of Dundee University we would hope to pull in students too. So there we have it! A rich history supplied by a very long standing servant of the club (36yrs!) who clearly knows the Dundee chess scene inside out. Its also great to see such a high percentage of juniors supported at the club, yet another common trend in successful clubs that we have noticed in this series of blogs. From conversations with friends, its interesting to note how often parents end up joining a club after their child has shown an interest in our ancient game. In other news at ChessJournal HQ, we have had a quiet development summer but are starting to think again around next steps and additional features. I hope to blog with more news once we finalise our next steps. As always thanks for reading. Until next time! I’ve been a little preoccupied following the British Chess Championships this week in Llandudno, North Wales. The coverage has been excellent and a special shout out to both Andrew Martin’s Game of the day videos as well as the excellent tweetage from Phil Makepeace (@alteredcourse). Right, we are Battersea Chess Club and the first thing you will want to know about us is that pints at our venue cost a mere £2.90. Yes, you read that right – £2.90. And, yes, we are Battersea as in the place in London. So, £2.90 pints in London. Surely that’s not possible? Well, if you come on down to our gaff it is. As to the question you were actually asking, well, do you need to know any more? Oh ok, I’ll run through the boring stuff: we are a medium-sized club, established way back in 1885 and based south of the river in a working men’s (person’s) club a couple of minutes’ walk from Clapham Junction station, one of the best connected stations in the capital. We have about 40 members and rising and this season we will be putting out six teams in the London League, three in the Central London League and we have two in a new more casual league we have co-founded called the Summer Chess League. Well, who do you think? People who like cheap pints obviously. After that a very broad range of people. We have all sorts of backgrounds. But, of course, this is chess we’re talking about so unfortunately most of us are actually slightly rounded men with thinning hair and a strange desire to get out of the family home on weeknights. But if you ignore that then yes, we have a very varied set of members. We certainly welcome everyone, or try to. I can confidently say we cater for every ability – we have total beginners and we have people pushing for titles. We also have league teams to reflect that from an U125 team all the way up the ladder to a team in division 1 of the London Chess League where it is not at all unusual to come across IMs and GMs. We don’t at the moment have a formal junior set up as we meet in the evening which is too late for most kids. However we have had a couple coming through the door recently and we also have a kid we’re all excited about and think will go on to something big. His name is Denis Dupuis and you heard his name here first! But in all seriousness we desperately need as a club to broaden our membership at least to include another gender. If anyone has any ideas on how to do this, let us know. The club has a long and illustrious history which I could go into detail about but we have a potted history on our website which explains far better than I ever could. We were established in 1885 and, while we are not the oldest, we believe we are the oldest continually-existing club in London. Probably our most famous former player is a certain Grandmaster Ray Keene. In fact, I found out the other day he lives nearby so I might knock on his door and try to persuade him to come along and get involved. Not as treasurer though, obviously. More recently GM Keith Arkell turned out for us, and we are hoping to persuade a big name or two this year to play for us. We’ll see. As far as our performance down the years is concerned, we’ve won the London League several times but perhaps not historically been one of its really strong clubs. We’re not a Cavendish or Wood Green. Although the last time we won it we did keep the trophy for six years. Ok, that was because of the war, but it still counts! Two years ago our first team won promotion to first division again after several decades out of the top tier and we are very proud of that. It was a big achievement for us but staying in it is tough: we narrowly escaped relegation last season may well be in the same dogfight this season. Until a few years ago we were also active in the Surrey League but we pulled out because it was hard getting people to go down to Dorking on a Wednesday night. Who are your fiercest rivals and why?! Well, Hammersmith like to think they’re our rivals but honestly it’s a bit embarrassing really. They’re a little club, no history, their best team is only in div 3 of the London League and we beat them almost every time. It’s just… awkward. We humour them. Honestly, if you remember the TV series Bottom with Rik Mayall and Ade Edmondson, the Spammers (as we call them) are like Richie and Eddie – a complete shambles. Incidentally, Bottom was set in Hammersmith. The other day I saw a couple of guys playing chess in a care home – Hammersmith should probably try being rivals with them, they’ll have more success that way. Apart from those jokers, the nearest team in terms of geography is Streatham & Brixton but in my time at the club I’ve not noticed any rivalry with them. But then you wouldn’t pick a fight with a team from Streatham and Brixton, would you? What is your favourite thing about the club? We’re a good bunch, we’re welcoming and we’re doing our best to drag ourselves into this century. We have our eccentrics (cough, Emil) but we all have the same approach – we love the game and just want to play. Most of us genuinely love the club too. We want it to continue for another 131-years. That’s perhaps a bit optimistic admittedly, but we’ve realised that you have to be proactive to survive and we’re doing that. We need to find ways to get more members and interest more people in the game, otherwise we will wither and die. To that end over the last year we’ve had the legendary GM Simon Williams play at our club along with GM David Howell (!!!) and even the YouTube star IM John Bartholomew. He came over from the US and did a simul and blitz tournament in which he had an epic three-game play-off with the Ginger GM. It was fantastic to watch. And how many clubs have a 2700 guy like David Howell drop in? If you live in London or are moving to London, just come along to one of our club nights. You’ll be guaranteed a warm welcome, especially if you come armed with a £20 new membership fee. Remember, pints are £2.90 – so you’ll practically be SAVING money. Get hold of me first and I’ll tell you what to expect and who to steer clear of (Emil again…). The last thing is just that we’re a great club (much better than Hammersmith). Thank you Leon for a lovely funny overview of this excellently run club! Its interesting to note the strong correlation in our club profiles between active marketing and engagement through digital mediums, and success for chess clubs. I’ve previously mentioned Battersea Chess Club in the review of top chess club websites in the UK and their constant flow of engaging content (much like, ahem, Hammersmith) is a big draw. It must be really exciting as an “average strength” club player to know that on any given club night a famous titled player may show up! In other news, regular readers will have noticed that the ChessJournal summer sale is back for August with 40% off premium subscriptions. Thats just £2.99 a year people (or slightly more than a pint at battersea chess club)! With the new chess season fast approaching why not take advantage and give it a try?! As always thanks for reading. Until next time. Just a quick one from me today to bring some exciting news in the normally quiet Chess month of August. For the whole of August we will be offering ChessJournal Premium for a massively reduced 40%, down to just £2.99 / €3 / $4 a year. If you are still uncertain then you can trial 3 months for just £1 / €1 / $1.5. Longterm readers will remember that we ran a similar sale for the whole of August last year and it proved really popular with the community so myself and Matt thought we would make it an annual thing. As I have previously blogged, we have a number of new features in the pipeline for ChessJournal that will expand our premium (and non-premium to be fair) offering. However, the summer months are proving to be very busy times for both of us in terms of life (this weekend I am attending my third wedding in four weeks) so they will be a slight delay in bringing you these exciting changes. Therefore, I suggest we all kick back, enjoy the sun (rain if you are UK based) and maybe take this opportunity to try ChessJournal Premium if its something you have been thinking about. Thanks for reading and all your continued support. Tell us a little bit about your club? I have only been a member of Downend & Fishponds Chess Club for a little over 2 years, though my association with the club goes back to 10th November 1984 when Downend sent a team to my then club, Pentyrch, near Cardiff, for a match in a knock-out competition. I cannot remember the result, though I suspect Downend won, but the match was played in such the most friendly manner (not always the case in chess) that a return match in Bristol was immediately arranged. We have now played over 50 return matches, playing in Downend in the Autumn and Pentyrch in the Spring for the Mike Wood Bridge Trophy, named after the long time but recently deceased president of Downend & Fishponds Chess Club. The home team always provides a generous buffet, and of course a most warm welcome, for the matches which are looked forward to by everyone involved. This would not be a surprise to anyone who knows either club, as one could not meet more friendly or welcoming people in any walk of life than the members of both these clubs, and when I decided to start travelling across from South Wales each week to play in the Bristol league, it did not even enter my head to approach any club other than Downend, and their welcome to me into the club was all I hoped and expected it to be. Can you tell us about the history of your club? The club dates back to 1949, with far too much history for me to put in here, but this can be accessed by going to the club’s excellent, and, I mean excellent, website, www.downendchess.com. Downend enter 6 teams in the Bristol & District Chess League catering from the strongest league players in the top division, to beginners and juniors in the lower divisions. We have 5 juniors, certainly not beginners, playing for the teams, who are improving at a frightening rate, and receive much help and encouragement from the club’s best players. This help and encouragement is a benchmark of our club, with the strongest players making friends with, and drinking with (yes, we do that, too) everyone, even duffers like me. Regarding our strength, we have just had a tremendous season, winning division 1 with our A team, division 2 with our C team, division 3 with our D team, and the knock out cup as well. What about our B team? Well, they finished 5th in division 1, proving themselves to be stronger then all but 4 of the other clubs’ A teams. We receive great support from members of all the teams, with players not involved in a match that evening coming along to support those playing, even in away matches, and enduring the agonies of watching their club mates and friends struggling through tight endgames under time pressure, “Why doesn’t he play Ne5 and push the g pawn…. ?” and other agonised whispers. Obviously, we have strong players at the top with 4 players performing at over 200 level this season, and amongst our 190’s a 199 (unlucky). We also have a new Hungarian player who is a FIDE Candidate Master for our A team next year. Well, we could do do with the help! Our home is at Downend Cricket Club, which provides a warm welcome (that word again), and in the lighter evenings the view over the cricket pitch is lovely. It is, incidentally, the home club of Dr. W.G. Grace, probably the greatest cricketer of the 19th century, with interesting photographs and memorabilia in the club. If this reads a little like a “travel brochure”, then I suppose it is. It is written out of my genuine appreciation and enjoyment of this terrific club, and I urge anyone to visit. Well a passionate description from a proud club member that I can only concur with Richard having played at Downend & Fishponds chess club on many occasion. I particularly like how proactive Downend tend to be on the recruitment side of things. They are never scared of looking further afield (for example, South Wales) or building strong links with the local University to hoover up talent when strong chess players graduate. This very tactic has contributed more than a fair share of 190 and 200 ECF rated players in recent years. Today we swing down to the south west of England to talk to Newton Abbot chess club. Despite coming from Bristol, I’m not very familiar with the chess scene further south so it was nice to get contacted by Trefor from Newton Abbot. The story of Newton Abbot chess club is a really good example of reestablishing a local rural chess club. These types of clubs typically suffer from smaller population bases to draw upon (unfortunately my own local league has lost several smaller clubs in the last decade – perhaps a topic for a subsequent blog post), so its refreshing to read about Newton Abbott’s approach. My thanks to Trefor for taking part. Newton Abbot Chess Club is a friendly and active club based in the South Devon market town of Newton Abbot. We meet every Thursday evening (7 p.m.) from September to mid-May at The Courtenay Centre in Kingsteignton Road, an excellent and comfortable central venue for good parking and catering facilities. Home matches in the Torbay League are held on Thursdays but away matches on other nights depending on the club and we also play in the Devon League whose matches take place on Saturday afternoons with a slower time limit. We welcome members of all ages and standards of play. Our current membership of about 30 ranges in age from 9 to 90 and in grade from 50 to 200 ECF. We are well-known as a club which actively fosters juniors of whom we have 12-15 regularly attending and these juniors, when ready, are given plenty of opportunity to play in our league teams. A typical club evening will see 20 members in attendance and on evenings when there are two matches going on the room is full. We offer regular coaching sessions for both adults and juniors. Our membership is diverse – in recent years we have had members from Azerbaijan, Georgia, Kazakhstan, India, Italy and Scotland. Locally, members travel from towns such as Kingsbridge, Modbury, Totnes, Torquay and Chudleigh. We organise several internal competitions which run right through the season: Club Championship in 3 all-play –all sections of 8 players: junior championship: Rapidplay tournament (30 minutes each). We have a very busy match programme – last year the club was involved in over 50 league matches. We compete in divisions 1 to 4 of the Torbay Chess League (and are current League champions) as well as the Rapidplay and Knock-Out Cup competitions. The Devon League also sees us in Divisions 1 to 4 and the Knock-out Cup and we currently hold the division 4 and Knock-Out Cup trophies. The club is quite young – it was founded in 2005 (though there had been two previous incarnations in the distant past). The current secretary and founder felt that the town was so central in South Devon (and had good road links) that it had a good chance of attracting players from a wide area and this has proved to be the case. We have had some considerable success since our founding: three times Devon League champions and multiple times Torbay League champions. However our greatest moment came in 2015 when we won the ECF National Club Championship (Major Section) in Birmingham. Several years ago we had a very enjoyable visit from Grand Master Keith Arkell (a resident of nearby Paignton) who gave an enjoyable simultaneous display against 20 of our members. We have a number of strong players with seven current members of Devon County teams including four members of the Devon team which won the ECF Under 180 title in July 2017. In addition two club members (Stephen Homer and Trefor Thynne) represented England Seniors in the World Team Championships held in Crete in April-May 2017. We are also lucky to count both the Devon Ladies’ Champion (Jacqueline Barber-Lafon) and West of England Ladies’ Champion (Nandaja Narayanan) among our membership. Something else of which we are proud is that the Presidents of the Devon County Chess Association (Paul Brooks) and Torbay League (Andrew Kinder) are active members and organisers in our club. Who are you fiercest rivals and why?! Our closest and most long-standing rivalry is with neighbours Teignmouth Chess Club though we have dominated encounters in recent seasons as their membership has somewhat aged while we have fostered juniors. In any one season there are usually around twenty matches between the clubs at various levels. We also have friendly rivalry in various divisions with other clubs such as South Hams (Kingsbridge), Plymouth, Exeter and Exmouth. One of the highlights of every season comes at the end of October when we act as hosts for the annual Devon Team Quick-Play competition. This attracts around 12-15 teams of four for a fast-moving afternoon of quick-play chess (12 minutes per player). Great fun! News of all our activities can be found on our dedicated webpage on the CHESSDEVON website: www.chessdevon.org.uk. We feel that we have reconciled two objectives which are not always easily compatible; to have a strong and serious level of play for those who want it while remaining friendly, open and welcoming to new or lower-graded players. We are lucky to have an excellent venue and would welcome a visit from anybody wishing to try us out or even just passing through the town. Of all the club profiles I have covered so far I think its fair to say that Newton Abbot should be considered an excellent example of a Pheonix club rising from the ashes. In just 12yrs they have established themselves as a thriving club with an active presence in their local chess community. They wisely point to the act of supporting junior level play as a major contributor to their club in recent years. Something we have seen in other successful clubs at the moment. I think any smaller club not located near a major city could take serious inspiration from the approach of Newton Abbot. Camberley Chess Club has the unique distinction of being one of only three chess clubs I have ever played at. Ten years a go I was seconded on business to Camberley and used to pop down to the club for friendlies over the summer months. Im glad to see that the Grob wielding maniac that took me apart a decade a go is still causing chaos and confusion! Lets hand over to John Upham from Camberley Chess Club who I conducted this interview with. Camberley Chess Club is a relatively young club formed in 1972, using for many years the private and very spacious Camberley residence of three times, British Ladies Champion, WIM Patricia Anne Sunnucks in Brackendale Close. Having retired from a colourful military role Anne cheerfully ran BMS Chess Supplies in the 1970s and 1980s always having multiple copies of the latest titles from B.T. Batsford Ltd. on a large number of shelves and Yours Truly spent far too much pocket money and student grant (£300 per term) on them! As well as Captain Sunnucks one of our formative and most loyal players was Britain’s first (1975) correspondence Grandmaster, Keith Bevan Richardson who passed away in May of 2017. We have organised a one day rapidplay memorial tournament in his honour for the “Glorious Twelfth” of August 12th, 2017 at our club venue. Since 1982 we have met (almost) every Tuesday night throughout the year at Camberley Baptist Church, 15, Frimley Road, Camberley, GU15 3EN where we have use of a match room plus a club room for those not playing in league matches. We are active “out of season” running a club championship, club nights and coaching evenings sharing the famous motto of the Windmill Theatre : “We never closed”. We have use of a kitchen but, not a bar (!) however, following club nights, we often retire to a nearby watering hole that we have donated chess sets to. Until recently, The William IV Tavern was adjacent now converted to a Co-Operative convenience store. A small revival of fortunes has brought in new members bringing us up to around thirty members with a now proactive Membership Secretary constantly scouting for more. What league or division do you play in? A number of our teams play in the Berkshire League and in the Surrey Border League in both divisional competitions and knockout competitions. Over the years we’ve managed to get our name on every trophy in these leagues at least once. Juniors are “bloodied” in the lower divisions and brought into the higher teams as they develop. Almost all members are keen amateurs from Camberley and surrounding areas with some from as far as Reading, Guildford and Newbury choosing to play for us rather then, for them, a more local club : we must be doing something right ! We have players ranging from over ECF 200 to less than ECF 50 providing teams for any and all levels of experience and ability. We try and recruit players from anywhere and everywhere including U3A, libraries, schools (primaries and secondaries plus home schooled children). Do you have any titled players? How diverse is your club? Do you have room for juniors for example? Two club rooms in one venue allows a separate area for juniors to play and be coached. Many of our more mature members prefer a peaceful location for their club night. Refreshments are free with a fully equipped kitchen available. One of our longest standing members is Professor of Food Science at The University of Reading and played “normal” chess before attending an event run by IM Michael Basman. Ever since the 1980s, Prof. Gordon Birch has bamboozled his opponents with The Grob (1.g4) and, for total consistency plays The Borg (1…g5) at every opportunity. Indeed, I have witnessed a bizarre game between the late Joe French and Prof. Birch which started 1. f4 g5 ! Suffice to say that this line has not been examined by New in Chess. In a Bell Trophy match that I captained Gordon was paired with a Bracknell player who also plays The Grob and I was hoping for a 1. g4 g5 start to the game but, instead they asked NOT to play each other and the chess world was robbed of the chance to witness a symmetrical Grob for the first time ! Crowthorne chess club is geographically close and many members are also Crowthorne members. Every match with our friends is fiercely contested but usually finishes in a local watering hole ! Both clubs have existed for a similar time and have an overlapping catchment area. We like to beat Guildford Chess Club as often as we can since they are much larger in membership terms and have existed for around three – four times as long but, just as with Crowthorne all matches are in good spirit whatever the outcome. There is a great comradery amongst friends including much banter and the like during club nights. Blitz chess is highly popular and we like to help each other improve our chess standard. Members take it turns to do coaching presentations. If only we had a bar to have a view from or of ! The membership fee is not especially cheap but we feel that our venue makes the fee worthwhile. Juniors pay £25 per year and this is subsidized by the adult membership. We like to get involved with the local community and have run several promotional events in Camberley and Farnborough. The Duke of Edinburgh Award scheme pushes it members our way and we are happy to take them on for accreditation. Several members either are already or are become ECF Accredited Coaches and teach in local schools. Members are active as officers of local and national chess organisations allowing as to have our influence on local and national chess politics. Having celebrated our Forty Fifth Anniversary in 2017 we look forward to our 50th in 2022 ! Thank-you for allowing us to talk about our club. Thank you John! Another cracking insight to this medium sized club based near the M3 (I enjoyed my time at Camberley Chess Club, I did not at any point in time enjoy the nearest motorway). The more of these club profiles I pull together the more themes start to emerge. I think in a months time I will step back and pull together a summary blog post on the common challenges as well as traits that make clubs successful. Also perhaps we should have a vote on the blog on a very important aspect of British Chess – “Should a club have a bar? My own club Horfield seems to have survived without a bar on its current premises since 1984! Astonishing quite frankly! As always, I hope you have enjoyed this post and do continue to share it far and wide with any league chess aficionados you know. ChessJournal is the companion app for club and tournament players. Store your games in the cloud for free and analyse them on the go on your phone or tablet. Leave your laptop at home the next time you visit that big tournament! The fifth instalment today of our Club profiles features. I have to confess to never having heard of the Coulson Chess Fellowship (CCF) when they got in touch with me so I was very surprised to learn of their size. I’d argue the CCF falls in to the very definition of a “Mega Club” with hundreds of members! A very unusual but welcome situation in British Chess. This interview was conducted with Scott Freeman, the CCF Activities Coordinator and also an ECF Accredited Coach and Arbiter. We are based in Coulsdon (Surrey) and probably have the biggest active club membership in the country. We expect to be starting the new season with approximately 120 members; roughly the same as last season, when we ran 2 teams in the Surrey leagues and 2 in the Croydon League. However unlike the vast majority of clubs, most of our members never play inter-club chess. That is their choice as we run as many teams to accommodate those who want it, but many of the members like the idea that Monday night is chess night, and that they can turn up knowing they have an arranged FIDE Rated and ECF Graded game, so they only play in the internal competitions. Parents who bring juniors like it because we have free guest wifi, so they can gete work done whilst their child(ren) play(s). We have a huge mix of players of all ages and abilities. The oldest player last season was aged 90 whilst the youngest was just 7. Around 50% of the players are under 18, but many of them are such that they are no longer seen as juniors by those who play them – and the behaviour of our juniors is not an issue here. Nearly 10% of last season’s members are female, including 3 adults and a recent British Ladies Champion! The Coulsdon & Purley Chess Club was founded in 1949 as the “Coulsdon West Chess Club” – so named as it was supported by the Coulsdon West Residents Association. The club later became the “Coulsdon & Purley Chess Club” (after it had to move to Purley) but was eventually swallowed up by CCF at the almost unanimous request of the membership, so CCF has run the show for the last decade. Although the club is now “owned” by CCF, the members are regularly communicated with to obtain a consensus when required – and there are few (if any!) issues that upset people. Members seem quite happy not to have to deal with committees and elections! We have had a number of strong players represent us over the years; in fact one match in the late 1990’s saw us field an International Master on bottom board for a match at Guildford. Probably the most famous player to play here (albeit for a few months) was David Howell, now one of the top GM’s in this country. It was probably Redhill in recent years, but it was always a friendly rivalry with a good rapport between the players of both teams. We don’t really have a club that we would term as big rivals. All of the internal competitions are FIDE Rated – and we usually have all matches completed (albeit with a very small number of default results) on time. Players have travelled many miles to play here over the years and have enjoyed the range of internal team and individual events that we run. From the standard club championship divisional structure, to the internal team event (super league) and speed chess nights (5 per year), through to the World Cup (knock-ou competitions)……and we have a replica of the football World Cup for the winner. Some players play every week, whilst others only play once a month in the Super League. Players can regulate how much they play. We believe we have the best chess club in the country. Everything in centrally organised with fixtures arranged by the CCF office and posted online on Friday, giving everyone 3 days to prepare. Entries for the 2017-18 are currently being taken, so if anyone wants to consider playing, do not you have until the end of July to book, due to the large amount of work that is needed to prepare for the start of the season in September. So very bold claims from the CCF at the end regarding being the “best chess club in the country” but its hard to argue with their success given their size. They are obviously a very run well ship and the volume of FIDE rated games must be a big plus to prospective members. I liked the attention to detail that the CCF has given to parents of juniors (free wifi). Its not the first time I have spoken to club members who recognised that looking after the parents is almost as important as the children if your club wants to support junior chess. Its surprising how often parents become future members themselves of the club. Our club profiles feature has been very popular recently so I am pleased with the response from the community to this idea. If you have enjoyed this profile (or indeed any of the others) please do share it with your friends and club mates. We are always looking for new clubs from the UK and also around the world to take part so don’t hesitate to get in touch. The ChessJournal Blog is here to support ‘over the board’ chess and the development of the ChessJournal App so the more feedback and input we get then the better it is for the wider chess community. Today we have another instalment in our popular club profiles feature, Hammersmith Chess Club. Based in west London, the story of Hammersmith is encouraging to every chess club member nationwide. As little as three years ago the club was in a very different state, with finances and membership numbers becoming a greater concern. Fast forward to 2017 and we witness a club that has turned around its fortunes through a clever approach to both digital and how to handle its rent (although I personally think they are just being very Anglo Saxon and enjoying a beer too much in the Summer!). This interview was conducted with Andy from Hammersmith CC over the last week, enjoy! We are a very friendly and welcoming club based in the inner suburb of Hammersmith, West London. With a catchment area that includes Fulham, Kensington, and a few other suburbs, we now count over 50 active members, and growing! We have 10 teams this year, catering for all levels of chess. The main League we play is the London League, where we field 5 teams ranging from League 6 up to League 3. We also play in the Thames Valley, and Middlesex Leagues, fielding 3 teams there. And most recently we were involved in launching a brand new Summer League involving 4 clubs, allowing us to field 2 teams there. On a busy night we’ll have upwards of 30 players involved in competitive chess, and with the launch of the Summer League we now offer members competitive games all year round. We are based in a local community hall in the borough during the main season, de-camping to a nearby pub for the Summer months when the main chess season ends. In many ways the club is a microcosm of the city we’re based in. We have a very diverse set of players, ranging from our youngest who is barely 10 years old, up to the pensionable mainstays of the club in their 80’s! In addition, we can boast a large & growing foreign legion, featuring players from Italy, Kosovo, America, Turkey and beyond. We also count a handful of female players as members. Our players range from the chippy amateurs, right up to a top group pushing ECF 200, with a sizeable rump of strong players in the 120-180 range. At present we don’t have any titled players, though recently we did count WIM Sue Maroroa amongst our membership. Whilst we don’t yet have a formal junior section, it is on the radar for the future. In the meantime, we have managed to linkup very successfully with a couple of local Junior clubs, playing multi-board Rapid games against them every year. A fun & exciting challenge for all involved! By far our most successful former player is four-times British champ Julian Hodgson. He played for us as a junior before going on to bigger & better things! We have a long-standing and very friendly rivalry with our South West London friends over at Battersea Chess Club. As a similarly well-run club with a lively online presence, we can often be found gently teasing each other over social media and our websites. We even went as far as having a two-legged dual over about 30 boards the other Summer, dubbed “El Chessico”, which we won, naturally!! The best thing about Hammersmith is definitely the ethos – we are on a constant mission to improve what we offer our members, and create as many opportunities for playing & learning the game in a friendly and inclusive atmosphere, as possible. For instance, we now have a regular training rota whereby our stronger players teach theory, tactics and openings at the practice board. We introduced competitive games over the Summer (historically the London chess scene takes a break every Summer, but the demand is clearly there! ), we frequently take on all-comers at a local cafe. We partnered with our local branch of MIND charity to take chess to the streets of Hammersmith earlier this year – a genuinely brilliant day! And in a nod to our recent past, this year we pioneered a linkup with a foreign club, with 15 of our members taking a trip to De Pion chess club in Amsterdam for a weekend of Chess, friendship and beers!! Hopefully we offer something for everyone, and we are always looking to offer more. Like many clubs, rent is one of our biggest costs. We took the decision a couple of years ago to give up our community hall venue over the Summer and de-camp to a nearby pub (The Albion, Hammersmith Road). So we now use their function room in the warmer months as our “home venue” – hopefully paying our way in beer – and revert back to our community hall when the main league season re-starts. Not only has it been a brilliant move for the balance sheet, it’s also actually quite nice playing chess in a pub! It provides a welcoming atmosphere for any first-timers, and generally makes for a more sociable and relaxed time! Highly recommended. I have to admit to being a bit of a fan boy for Hammersmith’s approach to running a chess club for the past few months. I particularly enjoyed their club organised trip to Holland to play a local Dutch club “over the board”. They have also been active in running events to raise money for charity (see below for their support of Mind). A more apt charity for chess players I cannot think of! These kinds of social events are exactly what can unite a club as a community as well as a competitive entity. Thanks again for reading. We are starting to get lots of requests coming in for club features so thank you for all your support and sharing of the blog. Hopefully we can inspire and make a positive difference to clubs around the UK and the world! Please do continue to spread the word about the ChessJournal Blog and if you fancy it, check out our App for club and tournament players. 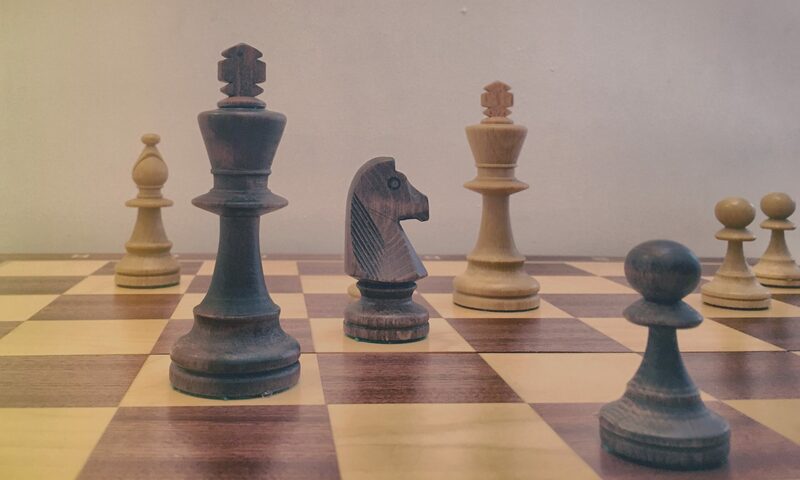 On todays blog I want to return to a topic I have spoken about before and also what is becoming a theme in recent weeks, digital marketing of chess clubs. I previously wrote about the dearth of digital skills at most chess clubs in my article on The Top Five British Chess Club Websites. A came across a great article written by Yorkshire Chess which lamented new recruitment (“fresh blood”) for many clubs. I also noted that in the London league the division one fixtures are moving to 10 board matches next season as opposed to 12. In correspondence with IM Jack Rudd of Barnstable chess club, he noted the positive effect that establishing a Facebook and social media presence had had on this small club in Devon. Finally at the start of June I posted a call to arms to the Bristol & District Chess league about the state of many clubs web presence, the declining trend in membership in the last 25yrs. So why are some clubs struggling with membership? Lets think about some numbers for a moment. Small: Less than 10 regulars. They probably have a single team that they field in a local league. They probably struggle to find replacements if anyone is unavailable in a given week. Medium: 18-25 regulars. A good size club who can field an A, B and probably C team in a local league and also have room for some strength in depth. Large: Up to 40 regulars. Might have up to five teams in a local league and are able to cater for all standards of chess. Most likely based in a city and due to the size of the club probably have regular friendly nights or training sessions from the resident titled player. Lets use the above categorisation as a starting point. Imagine if your club had 20% more members? Providing the additional strength in depth so the fear of a drop out doesn’t always result in a default board. More subs obviously lessening the financial burden that some clubs feel. To a small club it is 2 people. To a big club it is 8 people. Is it just me or do those numbers not seem that scary when you consider the booming numbers that the chess community is seeing online and in other countries? Now lets looks at some numbers from a digital recruitment perspective. Have an active presence on social media such as Facebook page, Twitter profile or ideally both. We have had 7 enquiries from potential new members asking to join the club. To stress again, all of these activities are with a relatively low amount of effort or cost. The Horfield & Redland website cost a grand total of £18 to set up and took less than two hours. The Bristol & District Chess League runs September to May which means in the summer months a lot of clubs consolidate and just play friendlies. Now with 59 unique visitors a week for 12 weeks over the summer that is 708 visitors before the start of the next season. As a medium sized club to increase our membership by 20% we are only looking for 5 new players or in digital chess club recruitment terms, less than 0.7% of the total visitors to our website! These are not scary numbers people! They are eminently achievable. If you have made it this far then I hope by now you can see that I do not believe it is hard to increase chess club membership if the amateur chess community was willing to put some effort into the digitisation of its marketing efforts. Across the country, hundreds of chess clubs are run by hard working, diligent volunteers who perhaps do not have the expertise or know where to start with setting up and looking after a website or social media page. But there are shining examples out there to follow. Battersea Chess Club and Hammersmith Chess Club are both excellent examples of hard working chess clubs from a digital marketing perspective. They regularly publish articles, videos and games that really want to make you visit the clubs and become a member. If you are part of a chess club and do not know where to begin with digital then you could do a lot worse than start there. Finally, I often hear chess players lament the growth of chess online impacting league or “over the board” chess. I disagree. Both can exist happily side by side. Online is not a threat, it is an opportunity. In other news, myself and Matt are busy planning the next release for ChessJournal App. We are currently exploring some requests and feature ideas around a “Chess Calendar” for storing and recording all of the tournaments, league fixtures and coaching / training sessions for a given season. Its early days but if you have any thoughts on what you might want this feature to provide then give me a shout. Thank you for reading and all your continued support. We can do this! ChessJournal is the companion app for club and tournament players. Store your games in the cloud for free and analyse them on the go on your phone or tablet. Get statistics for your season and set and track personal improvement goals. Leave your laptop at home the next time you visit that big tournament!